Airbus Group's E-Fan technology demonstrator today became the world's first twin-engine, battery-powered electric plane to successfully cross the English Channel—more than 100 years after Louis Blériot became the first pilot to make the journey. Powered by lithium-ion batteries, the E-Fan took off from Lydd, England, and completed the 74-kilometer (46-mile) flight to Calais, France in 37 minutes. "The E-Fan project and today's historic Channel crossing show that the pioneering spirit and ingenuity demonstrated by Louis Blériot and the other early aviators is still alive today," Airbus CTO Jean Botti said in a statement. "The 10th of July 2015 will now join the list of famous days in aviation history, and I'm sure Blériot would be proud of this achievement." Since April 2014, the E-Fan has made more than 100 flights, and was put on display during last month's Paris Air Show. 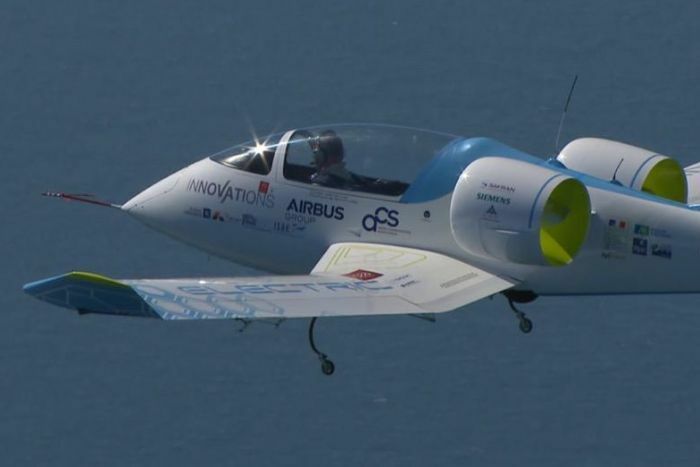 Already, the Airbus team is working on the E-Fan 2.0—an electric two-seater aimed at pilot training—which will be followed by the E-Fan 4.0—a four-seat aircraft for full pilot licensing and the general aviation market. 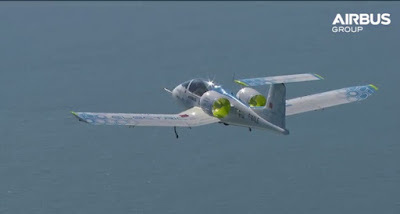 The all-electric plane aims to reduce noise, emissions, and vibration caused by conventionally powered engines. Plus, its two battery packs provide 60 kilowatts of power, suitable for 45 minutes to one hour of flight.